And then there was greenery …..
And there I saw a spike of green ….. 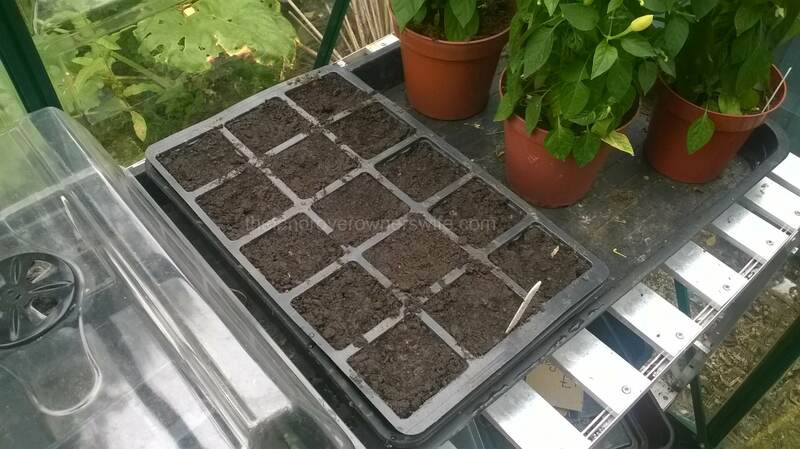 Categories: .... on growing your own | Tags: chillies, Food, germination, grow your own, mangetout, vegetable gardening | Permalink. 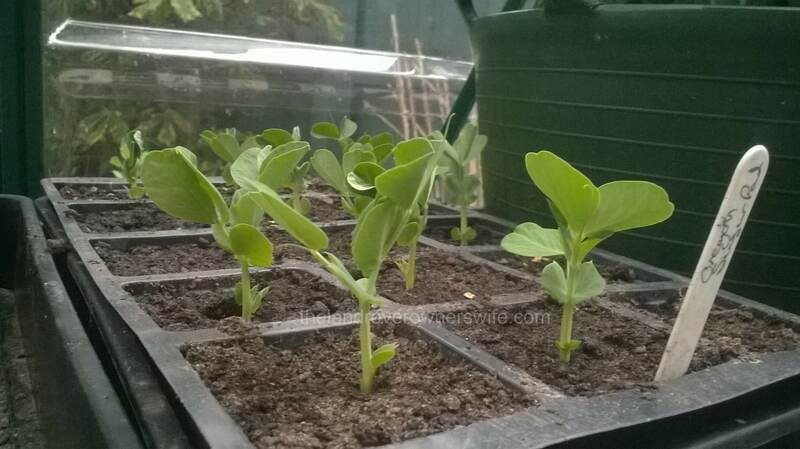 Categories: .... on growing your own | Tags: gardening, germination, grow your own, mangetout, Pumpkins, vegetable gardening | Permalink. Slowly but surely the garden is turning green. 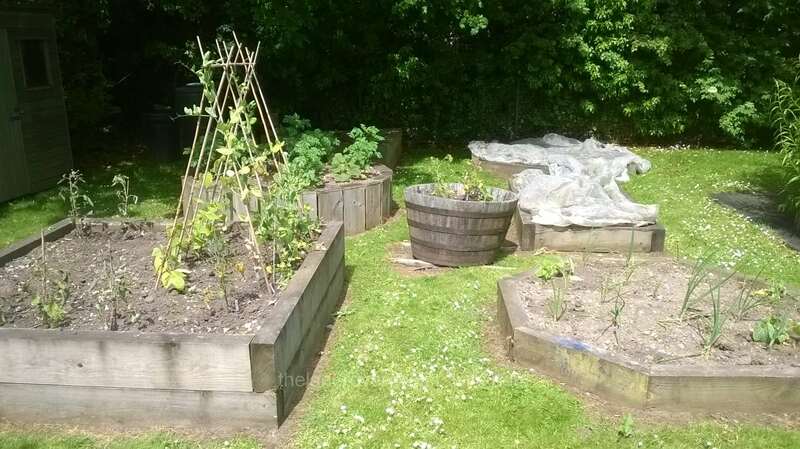 Categories: .... on the school garden | Tags: Food, gardening, grow your own, mangetout, School garden, vegetable gardening, vegetables | Permalink. 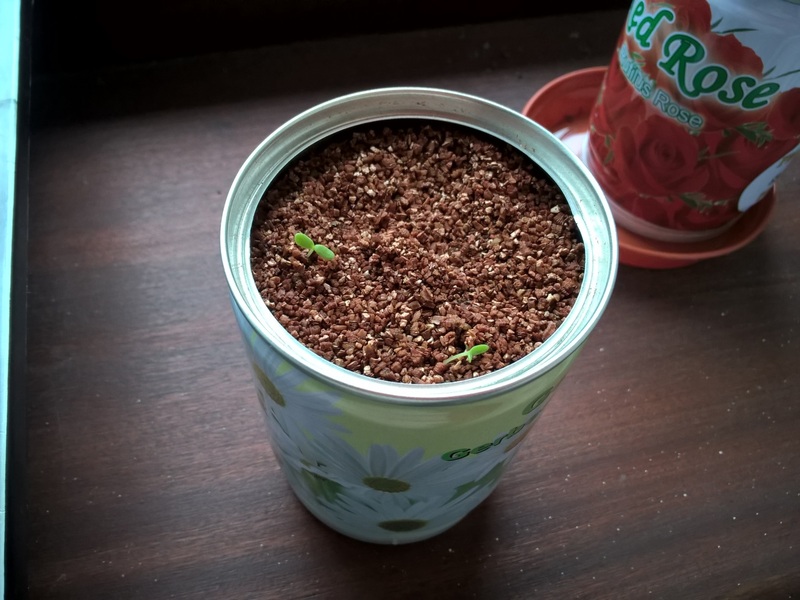 This is a record of how long this particular set of seeds took to germinate and how they looked at various stages from first appearance to the development of the first set of true leaves and beyond. I hope this will prove useful. Unfortunately, although these germinated and grew well, the colder weather hit a little earlier than I anticipated and I wasn’t able to get them into the ground. 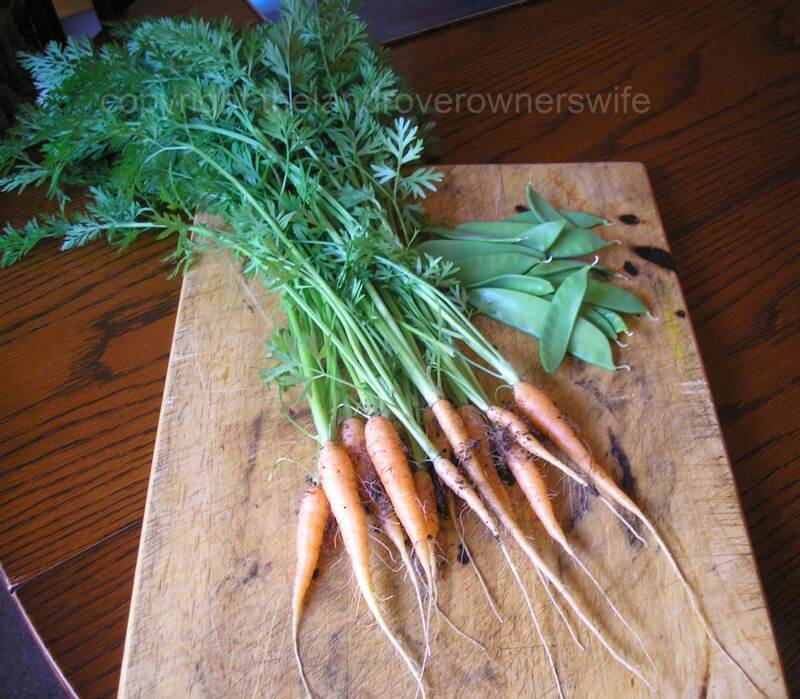 I will be growing these again next season, as this variety has always done well in my garden in the past. 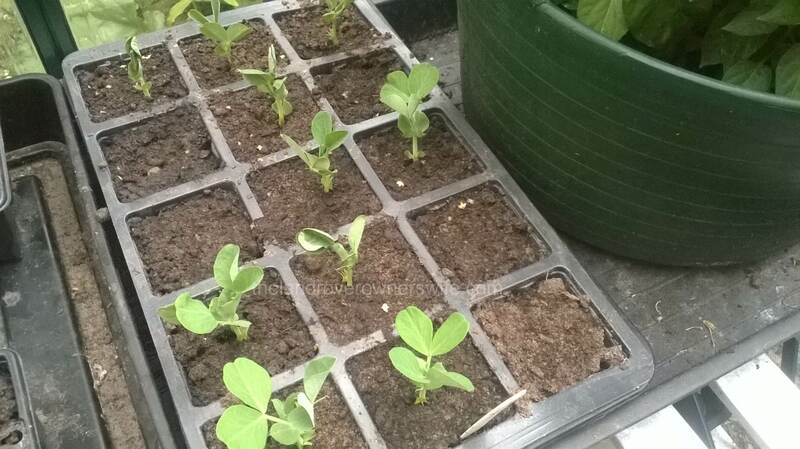 Categories: .... on seeds to seedlings | Tags: Food, germination, grow your own, mangetout, seedlings, vegetable gardening, vegetables | Permalink. Last Sunday I sowed some more mangetout seeds but this time I reverted back to the “Oregon Sugar Pod” variety I normally grow. I managed to pick up a fresh packet of seeds for half price, whilst at the garden centre, having been thoroughly disappointed with the performance of the “Bijou” and “Golden Sweet” varieties that I had purchased from the Real Seed Catalogue. 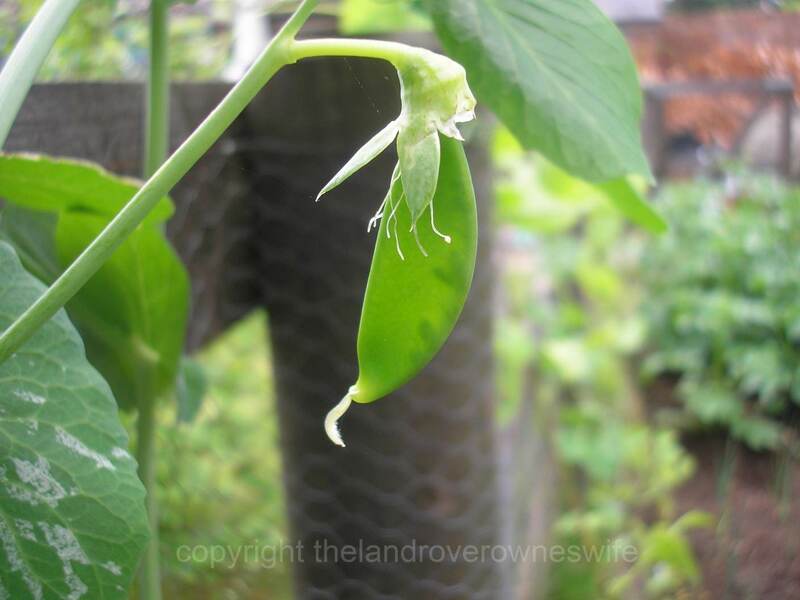 Categories: .... on growing your own | Tags: Bijou, Food, Golden Sweet, grow your own, mangetout, Oregon Sugar Pod, vegetable gardening, vegetables | Permalink. I have this thing about not being able to throw away plants. Thinning out is something that is only done when absolutely necessary, bolting lettuces – well I get rid of them eventually and as for sickly seedlings they have to be pretty much brown and totally unrecognisable before I am convinced they won’t make it and need composting. Categories: .... on growing your own | Tags: chillies, Food, grow your own, mangetout, tomatoes, vegetable gardening, vegetables | Permalink. 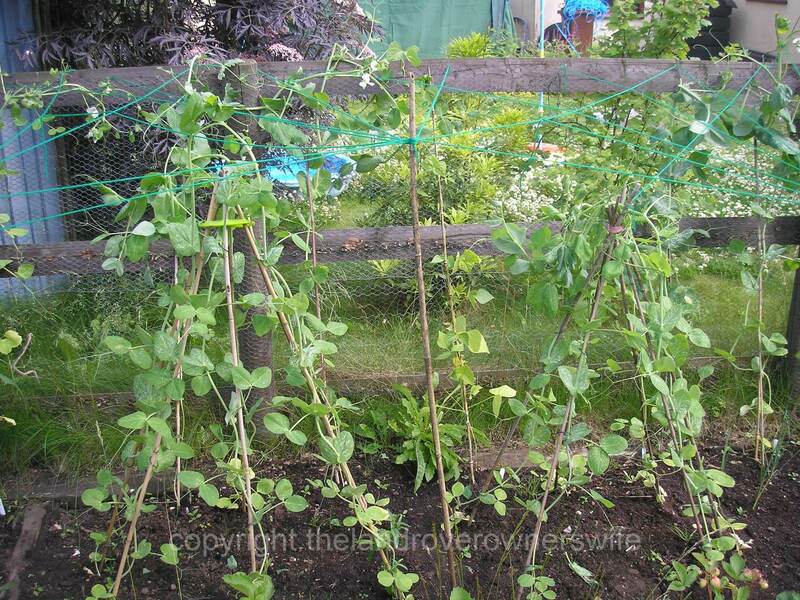 Last year my mangetout took a bit of a beating from the local pigeon population, with these thug like birds walking along the length of my fence helping themselves to the juicy growing tips and causing huge amounts of damage from which I thought the plants would not recover. In the end I created a grid of criss crossing yarn above and around them, using the fence as an anchor point, which made things a little more difficult for the opportunist pigeons, as the strands impeded their ability to land on the fence and every day I poked any emerging tips nearest the fence, back down and under the grid through which the pigeons were reluctant to stick their heads. 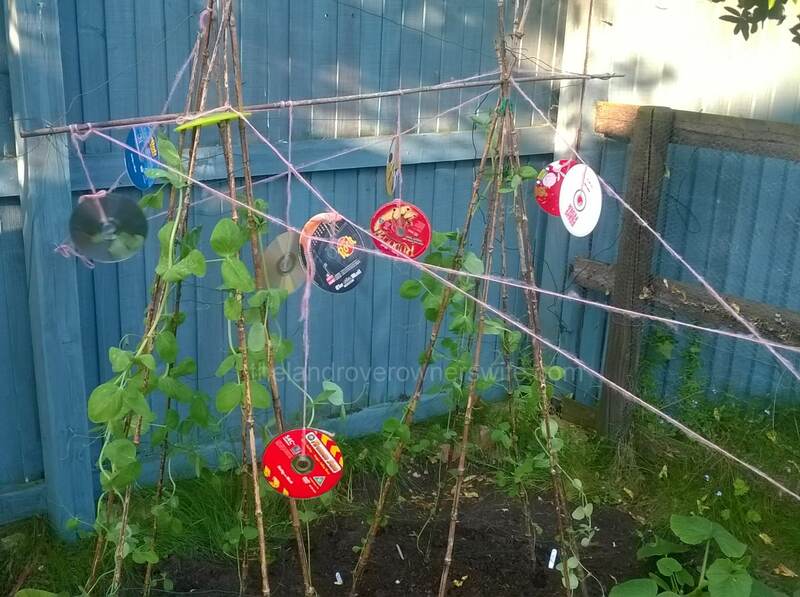 Categories: .... on growing your own | Tags: Food, grow your own, homemade bird scarer, mangetout, vegetable gardening, vegetables, yarn | Permalink. 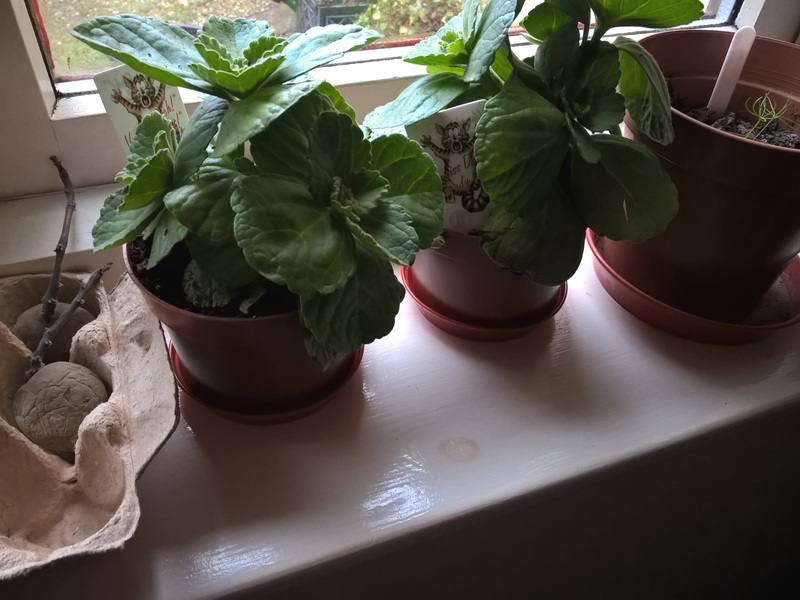 Categories: .... on Bonnie, Ciggy & Annie | Tags: Food, gardening, grow your own, mangetout, vegetable gardening, wool | Permalink. 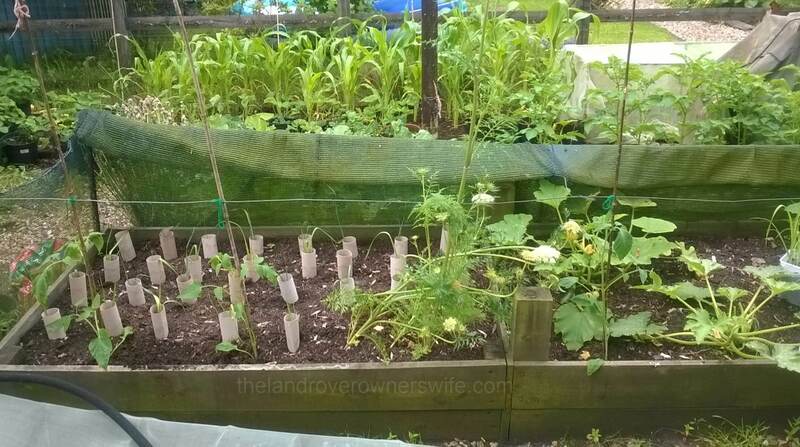 Categories: .... on growing your own | Tags: Food, gardening, grow your own, mangetout, Pigeons, sweetcorn, vegetable gardening, vegetables | Permalink. Categories: .... on family life, .... on growing your own | Tags: camera, Food, gardening, mangetout, vegetable gardening, vegetables | Permalink.